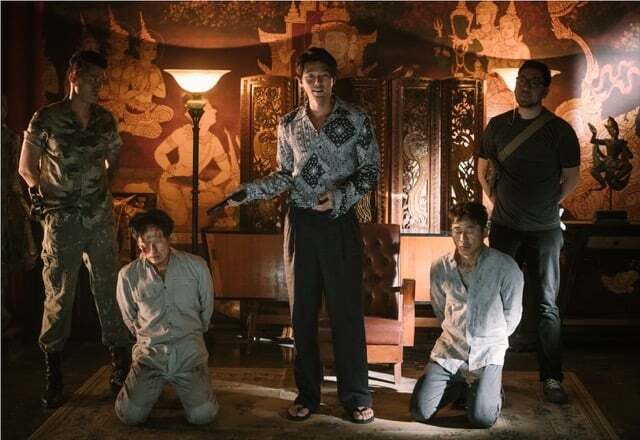 Popular South Korean drama and movie star Hyun-bin (born Kim Tae-pyung; Secret Garden, The Swindlers) plays Min Tae-gu, an illegal weapons kingpin who takes a police captain and reporter hostage in his Thailand hideout with unknown intentions and demands. Meanwhile, police inspector and negotiator Ha Chae-yoon (Son Ye-jin; April Snow, The Last Princess) is called in by the police commissioner although she resigned after a failed operation with armed robbers, resulting in the loss of two hostages. She’s tasked with negotiating with Tae-gu and buy time while the special forces locate and kill him. 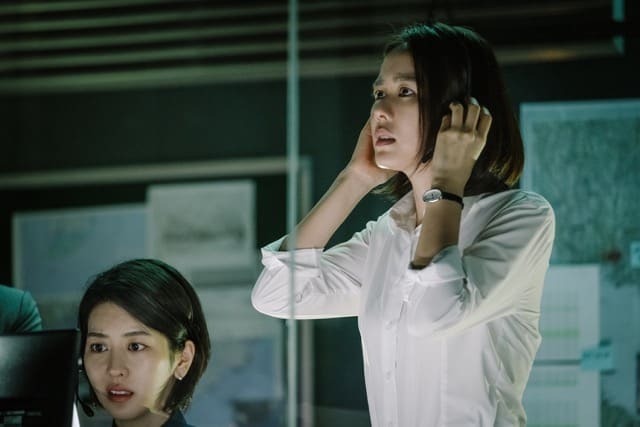 When Tae-gu kills the police captain, who happens to be Chae-yoon’s mentor and superior, she loses her cool and is replaced by National Intelligence Service (NIS) agents. Unsurprisingly, Tae-gu makes a fool of the NIS agents and demands Chae-yoon to be the only point of contact if not he will execute the journalist and a family of four. The rest of the runtime is pretty much Tae-gu and Chae-yoon’s show with a bunch of characters only there to serve as plot devices. Disappointingly, the bulk of The Negotiation is more of a political corruption film with sloppy expositions than what you’d expect from a movie of its title. Fortunately, Hyun-bin and Son present amazing performances to keep viewers engaged in the story. Veteran Kim Sang-ho (Tazza) is great too as Chae-yoon’s resourceful mentor and sidekick, giving the film some much-needed legs. First-time writer-director Lee Jong-seok needs more work on the storytelling and script, which are the main reasons why the audience would be scratching their heads for the first 30 minutes or so. Undoubtedly, the pace picks up later on, but only to further depend on the main cast’s charisma. Fans of Hyun-bin or Son from their earlier K-dramas or movies would find them in one of their best performances for a long time. Of course, the credit goes to the crew for giving them emotional scenes and dialogue to perform and they apparently relish and seize the opportunity. Overall, The Negotiation can be bland and hard to follow at times, but the pay-off is at the end with some decent character development for our lead characters. The antagonists serve more like caricatures of political corruption than anything else, but they serve the film’s purpose at the very least. 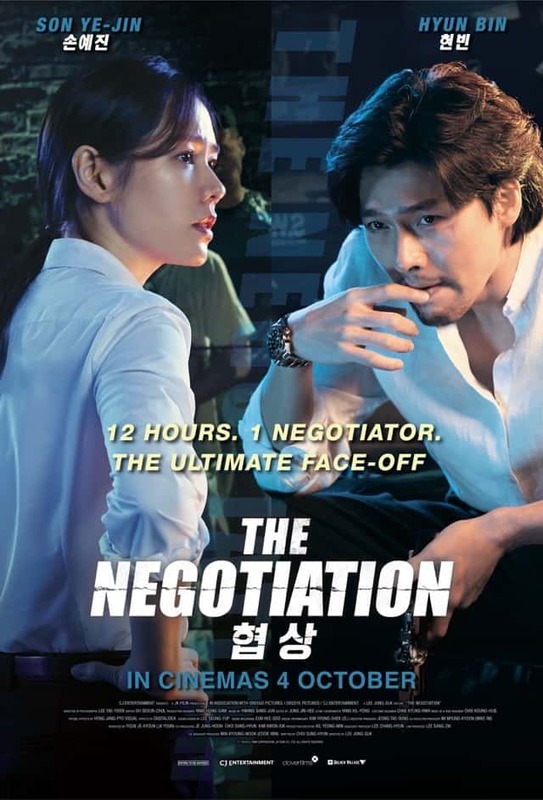 Summary: A suspense thriller on the surface, The Negotiation is at its heart a political commentary on the corruption expositions in South Korea. A suspense thriller on the surface, 'The Negotiation' is at its heart a political commentary on the corruption expositions in South Korea.